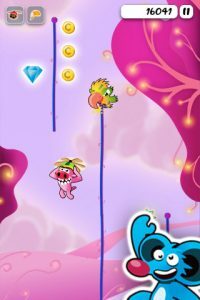 In SuperRope, the popular free iPhone game recently released by Craneballs Studios, you propel your hero up and across ropes, gathering coins and stars, while avoiding enemies and falling traps. 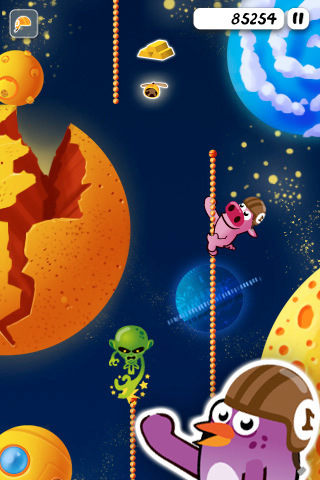 This vertical jumping title begins with one hero, a pig named Pigger, and one setting/world unlocked for you to play. Other worlds and heroes can be purchased with stars (the premium currency) which are collected or purchased for real money in the game”s store. Pigger begins climbing when the game begins, and doesn”t stop. You have to move him from rope to rope horizontally, before he runs out of length. There are coins and stars (premium currency) located in-between the ropes, which can be picked up by jumping through them. 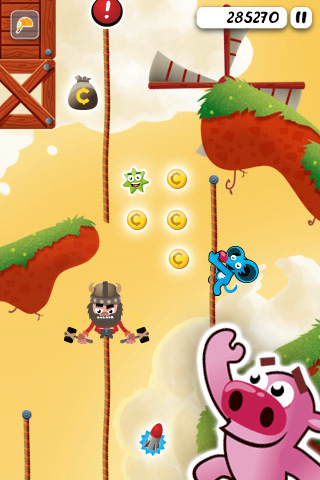 There are also power ups that can be picked up that help out your character, such as a magnet to gather all the coins, or a propeller beanie to carry him upward several feet. On the medium and hard levels, you may encounter obstacles on the ropes and on the hard level there are pianos that fall from the sky to crush your character. 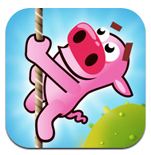 One unique aspect about SuperRope is that not only can Pigger jump to the rope on either side of him, he can jump out of the screen and appear on the rope on the other side. Think of the Pac Man game mechanics. Pigger jumps to the right from the far right rope and appears on the left on the far left rope. Still climbing, of course; he never stops! Because you can”t slow or stop your climbing hero, Craneballs Studios has kindly provided three settings of play, making it possible for any level of gamer to handle. On the “easy” setting, there are no falling pianos, and no obstacles and the climbing is at a slower speed. “Medium” is what they refer to as “normal speed”, and still mobile casino no falling pianos. “Hard” has a fast climbing level and all manner of difficulties awaiting you. There are also two ways to control the jumping. You can slide your finger, or tap. Both work well, but the tapping seems a more natural way to control. 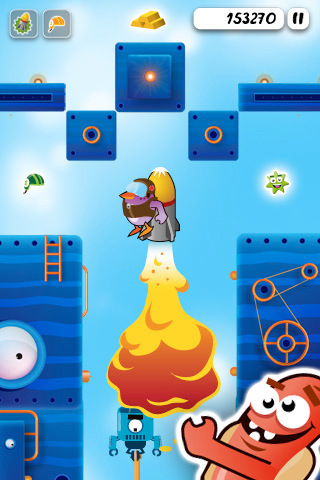 SuperRope has attractive cartoon style graphics with pleasing colors and cute animations. The music gives the game the feel of a vintage cartoon show. There is no plot to SuperRope, no reason to be climbing, no explanation for the world and no introduction to the heroes, and that is a disappointment, as the graphics looks as though they have a great story to tell. Though it is a cute game with solid game mechanics, it lacks personality and is not compelling to play. The main detracting point from SuperRope is the length of time it takes to unlock new content. Because of the lack of story line, it is easy to become bored with Pigger and Green Land., but sadly, all levels and heroes cost 1000 stars. You can play for hours gathering stars or do what I think Craneballs Studios is hoping will happen: give up and purchase 1000 stars for $0.99 in their store. Bottom line: SuperRope is pleasant to look at, but is not particularly engrossing or exciting. Many players will no doubt become bored long before they earn enough currency to open new content. SuperRope is compatible with with iPhone, iPod touch, and iPad. Requires iOS 4.0 or later.